Those who have been reading for this site the past few days know that I have been very passionately speaking out on the behalf of Gays and Lesbians. Thus, I am sure that there are some Christians that marvel that another Christian, and a Navy Chaplain with a strong conservative petigree to boot would defend the rights of Gays, Lesbians and others that they disapprove. However, at this point in my life I can do no other. 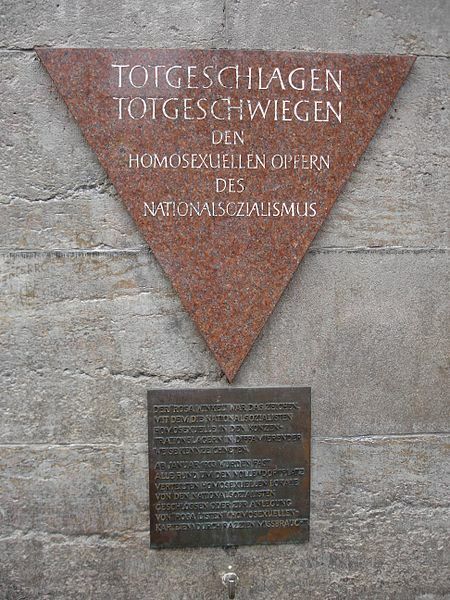 If I do not speak up I would be culpable of the same crimes that German Christians, clergy and military officers did when they said nothing when the Jews, Gays and others were persecuted, imprisoned and murdered by the Nazi regime. In the early 1900s the Jews of Germany were making progress, gaining entrance into government, the military and the political process. Germany in those days was a haven for Jews, especially Eastern European Jews who had to live with open persecution and pogroms sanctioned by Czarist Russia and other eastern European states. 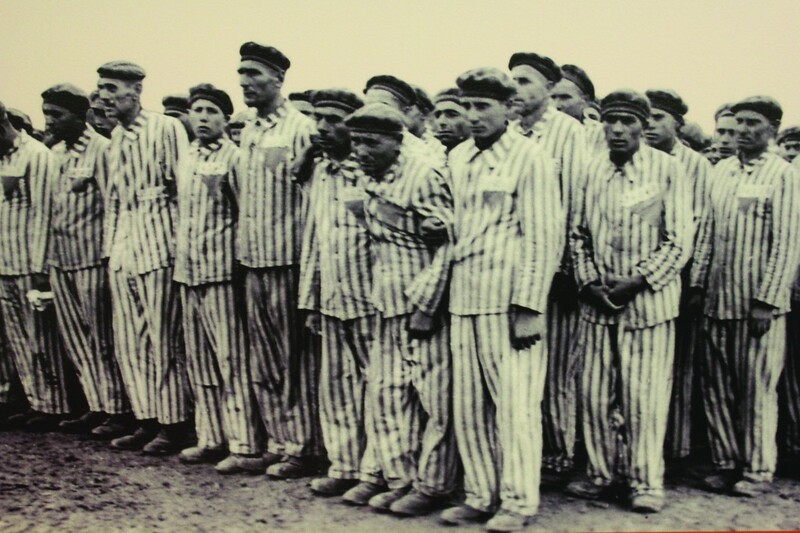 German Jews in that era were preeminent scientists, physicians and had entered the government and military. The Germany Armaments Minister Walther Rathenau who helped keep the German military in the war through his immense talents was Jewish, as was the commanding officer who recommended the young Corporal Adolf Hitler for the award of the Iron Cross First Class in 1918. However, when Germany was defeated in the First World War, Jews took much of the blame, and conservative German Christians were at the forefront well before anyone knew the name of Adolf Hitler. Of course, they were a minority, and many were Socialists and in the search for villains after the defeat and the abdication of Kaiser Wilhelm II, the Jews were high on the hit list, especially for conservative Christians of both the Protestant and Catholic faiths who saw their dreams die at the end of the war. Much is the same for the LGBT community in the United States. Conservative Christians blame Gays for all the social ills and maladies that German Christians did the Jews, Socialists and yes, German homosexuals did in the 1920s. If you actually bother to read the writing of the German right wing and conservatives of that era you will find language that is startlingly similar to the language used by conservative American Christians use today against Gays, liberal Jews, progressives and yes Moslems as well. It is an amazing study if you have the integrity and interest to bother to read it instead of listening to the pundits, politicians and especially the political preachers of the American right. However, if you don’t it matters not, because after all “God hates the gays” so why shouldn’t you? But then wasn’t that what the German Christians who allied themselves to Hitler did concerning the Jews? After all the Jews were “Christ killers.” Hitler, Goering, Goebbels and all the leading Nazis said so. But today if there is a natural disaster in the United States who is to blame? The Gays of course, and almost every conservative political preacher in America agrees. Pat Robertson, Franklin Graham, Robert Jeffress, James Robison, John Hagee and even soon to be repeat presidential candidate Mike Huckabee all agree that it is all the Gays fault. Just like Hitler, Goering, Goebbels and others said of the Jews in Germany. Get rid of the Gays and voila, problem solved. Since most of these preachers, pundits and politicians believe that Gays are destined for Hell and are the enemies of God, it is only a matter of time before they not only endorse legal restrictions and persecution, but endorse genocide. If fact some have, Scott Lively and others have actually went to Africa and campaigned for “Kill the Gays” bills in Uganda. They actually promote legislation in other countries that would make it legal not just to ensure that Gays have second or third rate citizenship, but to imprison and execute them. Given the chance they would do so here. You see, every mass movement of religious and nationalist hate needs a scapegoat. 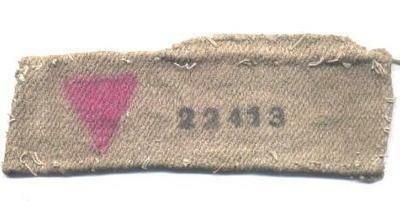 For the German right it was the Jews, for the modern American right it is the Gays. As Eric Hoffer wrote: “Hatred is the most accessible and comprehensive of all the unifying agents. Mass movements can rise and spread without belief in a god, but never without a belief in a devil.” To the German Right in the 1920s and 1930s the Jews were the Devil, to many conservative American Christians the Gays are the Devil. You see it is just a short jump from thoughts, to words to actions. Those who embrace the hatred of Gays, just as those who embraced the hatred of the Jews are just a little ways from thoughts, to words to actions. Believe me, with a Congress that now has a sizable number of people who honestly believe that the Gays are the enemy, not just of them but of God, that actions may well follow. That being said I think that the tide of history is going the other direction, but that does not mean that such people are not dangerous should they ever be in a place to enforce their religious and ideological beliefs on others. Sadly, today, most conservative American Christians don’t understand this profound political philosophy. Likewise, they, like Martin Niemoller and others throughout history, will find that some of the people that they support will turn on them once they no longer need their votes or political support. That my friends is a fact and why anyone should beware of any religious leader or politician who turns any minority group into a Devil should be feared, because they do mean business, and their ruthlessness is only concealed by the veneer of religion and law.